Nazr Mohammed was quite insightful, and I completely agree with his opinion. The owners have offered absolutely no concessions because they’d rather remain stubborn in their opinions and quick to their judgments. Mohammed is also correct about how Stern is “a master at PR and negotiation.” David Stern is not only that but also a mastermind in getting what he wants through manipulation, while still sounding somewhat cordial. Stern assumes that he’s the smartest of them all and that he can manipulate the players into thinking they are agreeing to a great deal, when truly they are not. Stern had suggested that both sides were coming to terms and that it was fairly likely that a deal would have been reached on Friday. Now that no new deal has been created, Stern has created even more dysfunction and animosity that will be hard to repair. 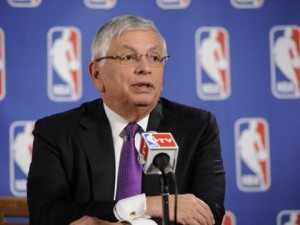 Stern has claimed that now there might be even harsher consequences since they weren’t able to reach a deal. This might cause the players to become resentful, which is justified, and not want to settle on a worse deal. Hence, this lockout might go on even longer than expected. The sense of hope among fans on this past Thursday was officially crushed on Friday not only because of no deal being reached, but also because a worse situation might be ahead. Players are more than frustrated now that the lockout continues to drone on. It seems as if this past Friday was some form of a breaking point. The players have suggested all along that they plan to “Stand United” and continue to support each other through this grueling process. This seems to still be the case for players that are actively involved in union meetings and discussions with the owners. However, multiple sources from ESPN have suggested that other players are tired of negotiating and that they just want to play. Sources have suggested that players don’t want to just win an argument. Pride is no longer a factor. Some players just want to play, because this is their life and this is their job. There’s no way for Derek Fisher or Billy Hunter to find out what every player wants and if everyone is truly “united” towards earning a fair deal. This would be an impossible task anyway, but it seems as though a separation is building amongst the players. The fact is that the players will not ever receive a better deal than what the owners are offering right now. Even if Stern is bluffing and doesn’t end up lowering their offer, the players are not going to receive higher than a 50-50 BRI at this point. The owners have no incentive to compromise since they are running the show now. I personally believe that this deal is unfair, but this is the best possible scenario right now for the players. The players just have to swallow their pride and look at the big picture. Yes, the players are the only ones that have been compromising, and that is exactly why they have to be the ones to end this lockout, not the owners. They will always be remembered as the side that settled this mess, and they will be commended. They have to be the proverbial “bigger person” in this situation. The owners, and mostly David Stern, have shown their true colors during this debacle and the fans will remember how they handled this situation. Although not ideal, if the players truly care about the game of basketball and the fans, their only option is to accept the 50-50 BRI. Alex Smith’s Season: Boom or Bust? The 49ers’ current 5-1 record has been more than surprising. Although the 49ers are competing within a weak division, their 3-0 road record is more than impressive and has proven that they are not just winning their division because the other teams in the NFC West are so horrible. 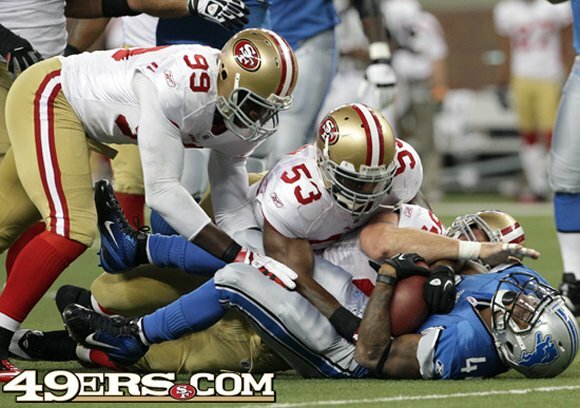 The 49ers’ defense has really carried the team and is the largest reason for the 5-1 record. The 49ers’ defense ranks 2nd in the NFL in points allowed per game at 16.2, they rank 2nd in the NFL in rushing yards allowed per game at 74.7, 2nd in the NFL in touchdowns allowed at 9, and 2nd in the NFL in total points allowed so far this season at 97. Clearly, the defense is solid and can keep our offense in any game no matter what the score is. The one factor that could hold back the 49ers in the future is their offense. Obviously, the fate of a team’s offense lies in the hands of their quarterback. Alex Smith ranks 26th in the NFL for passing yards, he is in a 6-way tie for 15th in the league for touchdowns thrown, and is tied for 24th in the league for completions. Although these stats appear pretty dismal, Alex Smith is surprisingly ranked 9th in the NFL for passer rating with a 95.2 and 9th in the NFL for completion percentage with 63.3%. Alex Smith is a bit of an enigma. He’s good enough to remain the starter, but he’s not good enough to ever be compared to the league’s elite quarterbacks. He will remain the starter throughout the season because Colin Kaepernick is not ready to become the everyday starter, and he probably won’t be for a season or two. The 49ers simply do not have any other options, and there are no potential free agents that the 49ers could target. 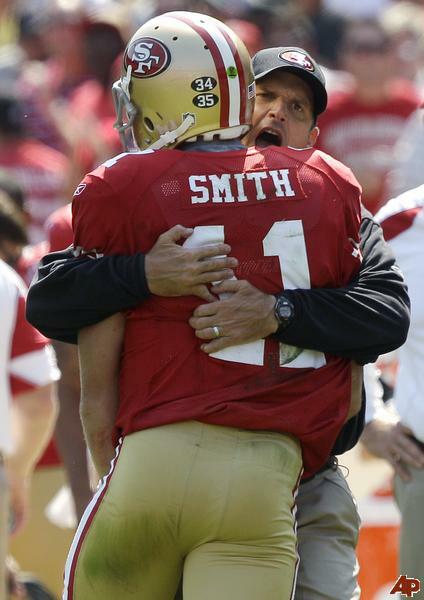 If the 49ers make the playoffs this season, Alex Smith will not be the main reason for that. Unless he has a stellar second half of the season, the defense will be the force that drives the 49ers to the playoffs. This season, Alex Smith was placed in the absolute best possible situation to succeed. Jim Harbaugh not only was a quarterback in the NFL for 15 seasons, but he also has proven to be a “players coach,” which means that he gets along with players easily while still commanding respect and authority. Harbaugh has coached some great quarterbacks, and he knows how to get the best out of all his players. Because of all these qualities, Alex Smith should be playing the best football of his life. Yes, Alex Smith has had seven different offensive coordinators in his NFL career. However, if he was good enough to be chosen with the #1 overall pick in 2005, he should be able to adapt. Seven different offensive coordinators requires a lot of adaptation, but he should have been able to rise to the occasion and at least begin to establish himself after his first few years in the league. After seven seasons, we are currently seeing the closest to the best form of Alex Smith we are ever going to see. With an outstanding coach practically tailored specifically for him, with solid teammates around him such as Vernon Davis, Michael Crabtree, and Frank Gore, and with a defense fully supporting him, Alex Smith should have extremely strong stats. Alex Smith’s stats might be strong enough to lead the 49ers to the playoffs, but is he the right quarterback to lead this team to the Super Bowl? Not even close. 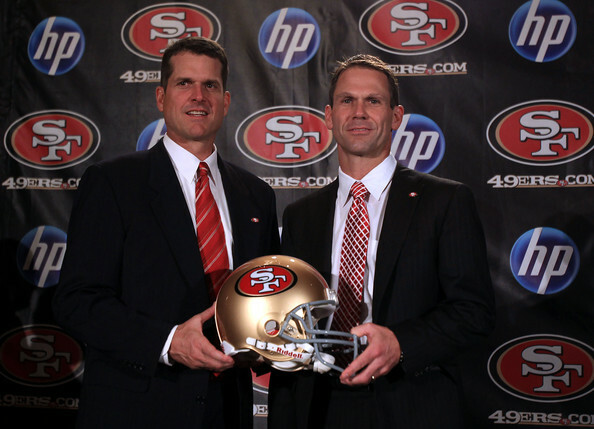 Jed York (49ers owner), Trent Baalke (general manager), and Jim Harbaugh have all stated that they don’t want to run a team that is satisfied with just making the playoffs. They all want to create and enforce a winning atmosphere. 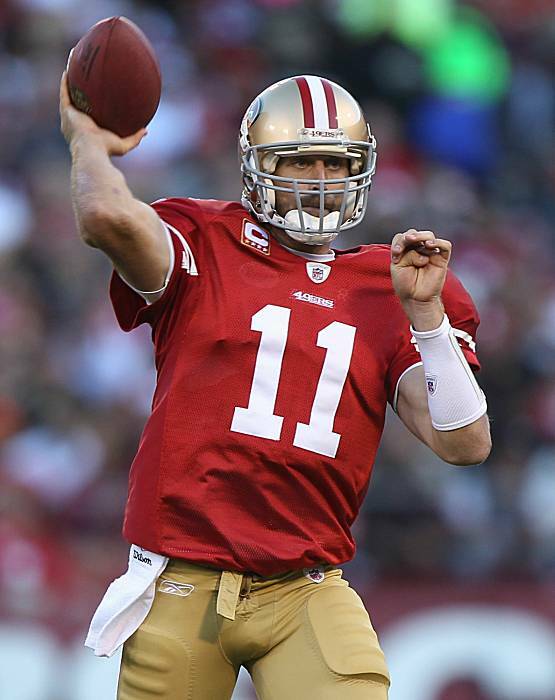 However, Alex Smith is not the quarterback that will lead the 49ers to multiple Super Bowls. If Alex Smith leads the 49ers to the playoffs, it would be a great and, yes, admirable accomplishment, however, this would not sanction him to become the “quarterback of the future.” The 49ers organization needs to be very careful this upcoming offseason. If the team makes the playoffs this season, then the organization still needs to consider if Alex Smith is the right quarterback for this team. In his seventh season, Alex Smith should be hitting his peak, and his stats aren’t exactly “peak-worthy.” Under the best possible circumstances, we are seeing the best Alex Smith that we will see, and he is simply not a strong enough quarterback to lead the 49ers to the Super Bowl. I would truly enjoy if Alex Smith was able to prove me wrong this season. If you know me personally, you know that I hate to be wrong, especially when involving sports. In this case though, I would love to see him succeed and lead this team to the Super Bowl. This event is extremely unlikely, but it would be gratifying to see Alex Smith come full circle and regain the trust of the 49ers faithful by proving that he’s a winner. The second half of this season will be a key stretch for the 49ers. It will determine if they can make the playoffs and officially start the journey towards a consistent winning team, and it will begin and end with Alex Smith. Let’s see where he takes them. The addition of Mike Malone to the Warriors coaching staff was a pivotal move by Mark Jackson and it represented an organizational shift towards defense. New Warriors assistant coach Mike Malone has been the “defensive coordinator” for both the Cleveland Cavaliers and the New Orleans Hornets. He’s been trained under some of the best defensive coaches, such as Jeff Van Gundy, Mike Brown, and Monty Williams, so it’s not surprising that he will become the defensive voice of the coaching staff. Matt Steinmetz interviewed Mike Malone about the Warriors’ new defensive schemes, their new dedication to rebounding, and what their offense will look like. Malone claimed that the new Warriors will still be a run-and-gun team, but their run game will originate from defensive stops. He stressed that the Warriors’ style of play will center around: defense, rebounding, running with discipline, and valuing the basketball. Read more about about his views on the lockout and this upcoming season here. 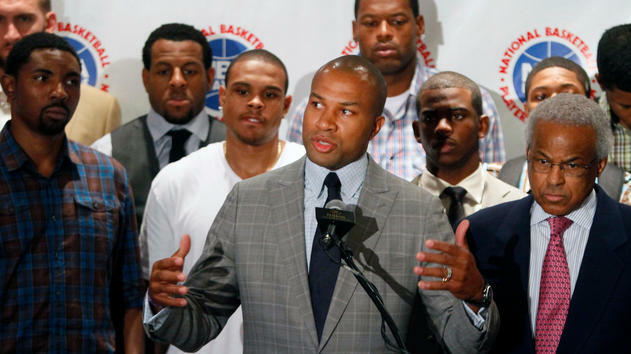 NBA owners and the players’ union have met for the past 3 days in order to save the 2011-2012 season. They’ve negotiated for more than 30 hours this week and it has led absolutely nowhere. The fact that a deal wasn’t reached signals that more games will be canceled, and it becomes more and more likely that the upcoming season will never even happen. The owners refuse to accept the players’ offer of a 53-47 BRI split. The players lowered their offer from a 53 BRI to a 52.5 BRI today and that just wasn’t enough. The owners have practically given the players an ultimatum, which implies that the players must accept the 50-50 BRI suggested by the owners and if they don’t, there will be no further negotiations. This seems to be a vicious cycle of stubbornness. The players are the only ones that are compromising in this situation, and the owners refuse to relinquish any power. Union executive director Billy Hunter said, “We’ve made concession after concession after concession, and it’s just not enough. No way, we fought too long, we made too many sacrifices to get where we are.” Both sides are still remaining fairly quiet on how much progress is being made, but based on how Hunter responded, not much positivity can come out of this situation. If the players are truly adamant about having a season and showing appreciation to the fans, than it seems as if the players will have to compromise, yet again, and just accept the 50-50 BRI deal. The players will not receive a better deal at this point, and if they don’t act quickly, the entire season will be lost. It’s unfortunate that the players will have to continue to concede in order to please the greedy, power-hungry owners, but this seems like this is the only possible solution to this whole mess. This prolonged lockout is taking a serious toll on the fans and the players, also. Anthony Tolliver, former Warrior and current member of the Minnesota Timberwolves, has been involved in many of the negotiations, and tweeted earlier, “I want to personally apologize to all the #NBA fans and every1 else affected by this stupidity. I really hope that this can be resolved soon.” Chris Paul tweeted earlier, “Sad day for basketball fans everywhere, “Take it or leave it” is what we heard from the owners so here we are…apologies to the fans!” Dwyane Wade also tweeted earlier, “You know its sad when people don’t even try and hide their greed..#NBALockout.” Lastly, Stephen Curry tweeted earlier today, “Just a summary. The players know how important the fans r to what we do. Would not jeopardize that unless we knew we r being exploited because of greedy owners. We r truly blessed to make what we make to do what we do. Why would we GIVE UP game checks just to get more. If you follow it closely, we r the only side giving concessions. Constant concessions to bridge the “gap”. All good. Sry to fans. Love yall.” This situation has gotten out of hand, and the only solution is for the players to compromise. If that doesn’t happen, then NBA fans will have to get used to more failed negotations and more NBA games being canceled. 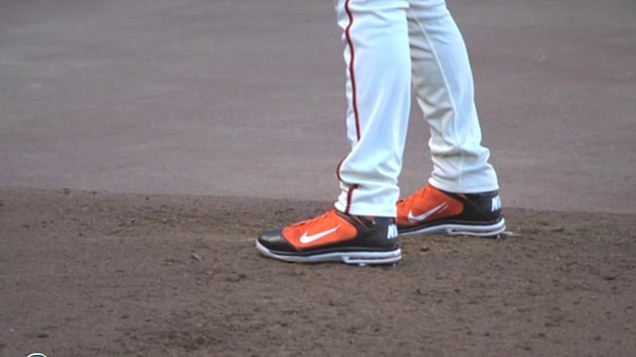 It all started when MLB told Brian Wilson that he couldn’t show too much orange on his cleats. This was such an absurd claim, especially since MLB claimed that the hitters that Wilson was facing were “distracted” by the immense amount of orange on his cleats. The reason why these particular hitters might have been slightly “distracted” could be that Wilson throws 98 mph fastballs, which breeze past most competent hitters. I severely doubt that his shoes were at all offensive to the hitters. 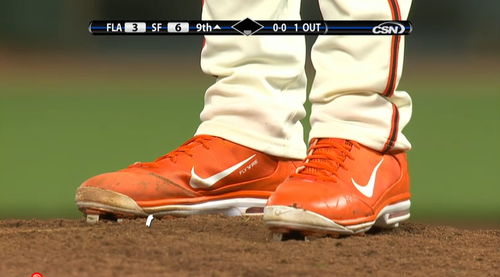 MLB required that his shoes be 50% orange and 50% black. This sounds amusing, but sadly, this is actually what was required by the league. Again, so absurd. As a form of mockery, Wilson “Sharpie-d” 50% of the shoes so it was a more “balanced” shoe. Once he started to grow out the beard, Wilson decided to continue the trend of mockery. Wilson decided to use the “Just For Men” treatment for his beard, just to ensure that 50% of his hair was black. Wilson refused to admit to this, but it was quite obvious that he was making a statement. And it was a funny one. It was a proverbial slap in the face directed at MLB. Wilson proved to be an extremely effective closer down the stretch, so fans created the “Fear the Beard” trend. It became a national story and fans started bringing “Fear the Beard” signs on all Giants road trips. “The Beard” became a symbol for the 2010 Giants team and all the weirdness that defined it. “The Beard” was the perfect representation of the sense of hope, perseverance, and humor that this particular team exuded. As a diehard Giants fan, I’ve got to say that “The Beard” became more than just a funny story for the Giants during the 2010 season. “The Beard” became the national symbol for all the outcasts and misfits on that team. This team had all the possible quirks, yet everyone truly believed in them. At the beginning of the 2011 season, “The Beard” became bigger and more exaggerated. Wilson refused to let it go. The reason why wasn’t exactly clear, but it could be that Wilson was superstitious or he just really enjoyed being a trend setter. Also, fans still seemed to enjoy it. Some fans might find these commercials amusing, but I find them overly exaggerated and just annoying. “The Beard” is no longer the symbol of hope. It has become an overplayed, overused act that is no longer funny and no longer relevant. 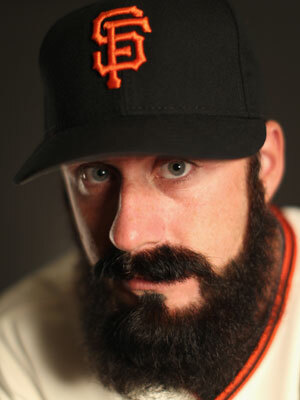 Brian Wilson needs to shave the beard not just because it’s not funny anymore, but in a sense, it would be a way for him (and the team) to move on from the torture that was this past season. New trends and new traditions can be started this upcoming season, because the Giants are an entertaining, creative team. There really is no point in keeping the beard anymore, except for purely selfish reasons on Wilson’s part. The Giants don’t need a beard to win. It clearly didn’t help this season. Wilson must be keeping the beard around because he loves the attention he receives and the fame that comes with it. “The Beard” started off as a humorous way to bring together the players on the 2010 Giants team, but now it doesn’t do any good for the team and is simply a publicity stunt. The Giants need to move on from the 2011 season, and if Brian Wilson shaved his beard, it would show that the players mean business and are serious about repeating their World Series title. The fact that this upcoming season will be shortened isn’t exactly a surprise to fans. However, this next phase of discussions (whenever they actually happen) is crucial. Fans still expect a season. Fans want a season. If the owners were so stubborn to not change their offer and therefore let the season slip away, the NBA probably would not be able to recover. Ratings were at an all-time high during the playoffs and at the end of the season, and if there is no season, the NBA’s popularity and ratings will suffer greatly. Fans are frustrated with both the owners and the players. There was a poll on ESPN, which asked “Which side is more responsible for the NBA labor impasse?”. Last time I checked, there was a total of 23,944 votes. 50% of all votes said that the blame was equally shared between the owners and players. 28% of all votes said that just the owners were to blame, and 22% said the players were to blame. Fans are past the point of figuring out which side is being unfair. Earlier in the summer when the lockout wasn’t as serious, fans could truly analyze the situation and see whether the owners or the players should be blamed for the lockout. However, at this point, fans just want a season, so it doesn’t really matter what side caused the frustration of this whole situation. As a result, half of the fans around the nation blame both sides for this mess. On that note, it seems as though the fans have not been considered at all in this process. It would require a sort of selflessness amongst the owners and players to realize that fans drive revenue, so they should be considered when discussing a new agreement. However, selflessness doesn’t seem to be common in that crowd. The owners and players have not had to have a sense of urgency and this alone has caused stress and angst for fans. The NBA is no longer about the “love of the game” and providing excellent entertainment for fans. This lockout has shown that no one cares about the fans anymore, and clearly, the “love of the game” isn’t enough to save the season. The owners and players have set up a vicious cycle for themselves. 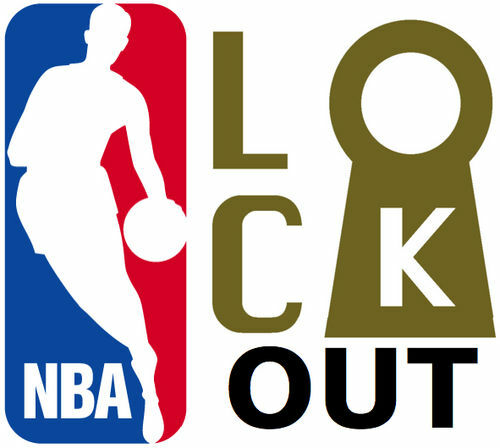 The longer the lockout goes on, the fans become more and more frustrated, and if there ever is a season, the NBA will have already lost some of its fans due to the owners’ and players’ inability to compromise. J.A. Adande, a sports writer for ESPN, said that the main point that fans need to know about this lockout is, “Don’t believe what’s being offered to you.” The owners and players have already limited what information they release to the public about their discussions, and according to Adande, even if they did, fans shouldn’t believe them anyway. This could also mean that no matter what fans hear about this lockout, ultimately, the situation could be much worse than it actually seems. When will the NBA season start then? Stern has suggested that if more weeks need to be canceled, it will come more easily and more quickly than this time. He also suggested though that now that the first two weeks have been canceled, it’s unlikely that this would lead to losing the entire season. Should fans believe this? According to Adande, no way. It’s extremely likely that more weeks will be canceled. The whole month of November is likely to be canceled, but what about Decemeber? There’s a chance that there will be some NBA games before Christmas, but it’s probably more likely that the season will start in January. Once November starts and the players and owners aren’t experiencing their normal routines during the season (especially like getting paychecks), they will realize a deal must be reached. This sense of urgency will certainly be delayed, but I guess it’s better late than never. Matt Steinmetz had two posts recently on the CSN Bay Area website that have caught my attention. The first post discusses the current Warriors roster (from last season) and what players will most likely be back this upcoming season. Because of the lockout, the Warriors might have very limited time to sign any free agents, so the current Warriors roster will most likely be the same roster for this season. There are a few players that might be cut or sent to the D-League, but other than that, the 2010-2011 Warriors roster will be very similar to the 2011-2012 roster. Steinmetz lists every player and how many years/money is left on their contract, which is helpful in order to review who will be back this season. Within the post, there was a poll that asked “Who is the most important player for the future of the Warriors?” The possible answers were Stephen Curry, Monta Ellis, Davis Lee, and Klay Thompson. I had to answer it, mostly just to see the results, and I voted for Stephen Curry, obviously. Stephen Curry received 82% of all votes, Monta Ellis received 14%, David Lee received 0%, and Klay Thompson received 2%. I thought this was quite interesting along with being extremely true. Stephen Curry is the future of the Warriors, not Monta Ellis. This starts a whole other discussion, so look for this topic in another post in the future. Anyway, on to the other Matt Steinmetz post. This particular post is about the NBA lockout. Steinmetz shares his views on what the players want vs. what the owners want, if there will even be a season, and if there is, how long it will be. It was great to hear Steinmetz’ view on the lockout, because many other opinions on this subject are pessimistic, not just about when the lockout will end, but pessimistic in tone. It was refreshing to hear a more positive take on the lockout with a little more hope and a little less complaining.